Seldom is a premium row crop farm offered in Holt County MO. 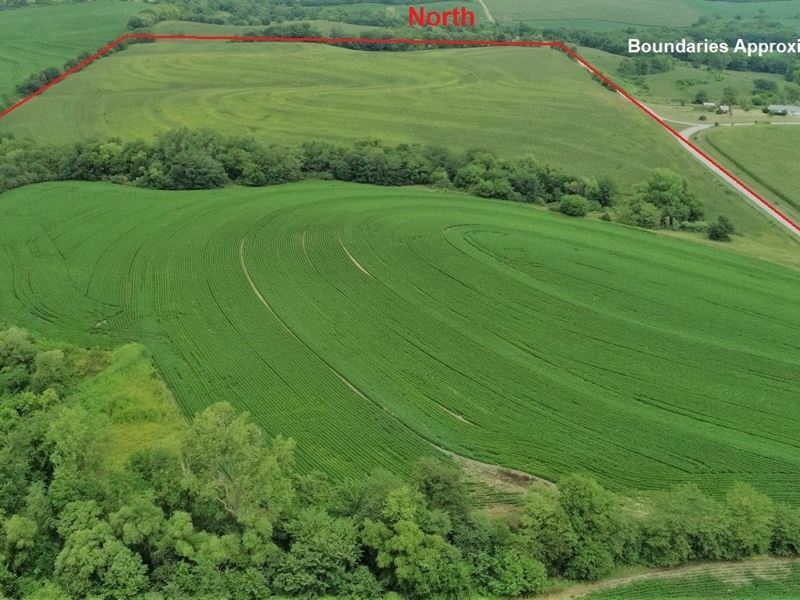 This great opportunity is located one-mile west of 59 Highway, only 30-minutes south of the Iowa Line, near Corning, MO. The farm has been in the same family for around 30-years and has been well maintained and share-cropped by the same local farmer for the duration of ownership. The farm offers terraced upland consisting of 80.20 total FSA acres, 66.73 FSA crop acres, and 81.8 are taxed. If it's hunting you enjoy, NW Missouri has a reputation for great deer hunting, and this property is no exception. Trails and tracks around the mature timber edges indicates a large white tail population. Short legal Section 22, Township 63N, Range 40W, Holt County Mo.